How do you get your photography site to rank in SEO? When someone searches online for images like yours, do your photos come up in the results? Using Search Engine Optimization (SEO) is critical for getting more eyes on your photography portfolio… and more clients. In this article, we’ll share the complete guide to SEO for photographers, including simple steps to rank your photos in Google. Before we dive into the steps to rank your photos, let’s briefly discuss why SEO is important for photographers. Showing off your photos is crucial to getting more business as a photographer. Getting your photos found in search engines means your work gets seen by many more potential clients. SEO for photographers helps you to do that by telling Google (and other search engines) what keywords your photos should be ranking for. So for example, let’s say you’re a nature photographer and you have some gorgeous blue peacock photos on your website. If you use SEO for photographers, your photos could show up in the results whenever someone types in a related query, such as “blue peacock”. With your photos in the search results, you’ll get more visitors to your nature photography website, which means more potential clients and customers! Now that you understand why SEO is important for photographers, you should know that there are several key factors that can make or break your success in the Google search results (31, to be exact). Ready to start optimizing your photos for search engines? Let’s go! First thing that matters for the SEO is a high-quality web hosting. Believe it or not, the web hosting you use could be affecting how well your images rank in search engines. Some hosts have poor uptime/downtime and speed, which can adversely affect SEO. So although choosing a quality web host does not guarantee that you will rank higher, it does ensure that you avoid the consequences of choosing the wrong host. An SEO-friendly content management system (CMS), like WordPress, is an excellent choice for running your website. Follow this step by step guide on how to install WordPress. Make sure to keep your WordPress version up-to-date. With every new release, the code standards are improved, and it play nice with the search engines. 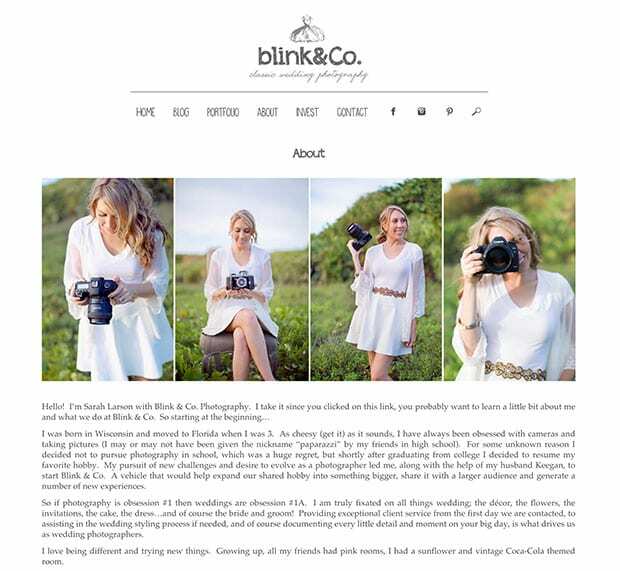 You should have a mobile-friendly website for your photography business. Google and other search engines reward responsive websites by ranking them higher in search results. 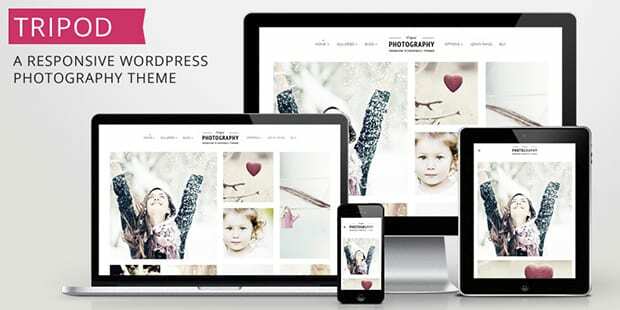 We have a list of all the best free photography themes for WordPress that you should definitely check out. One of the most important things in SEO is website speed optimization. The faster your website loads, the better it rank at the search engines. A Content Delivery Network (CDN) delivers your website content to visitors based on their location, so your website and your images load faster. Here’s how a CDN works (infographic). We recommend using StackPath (previously “MaxCDN”). 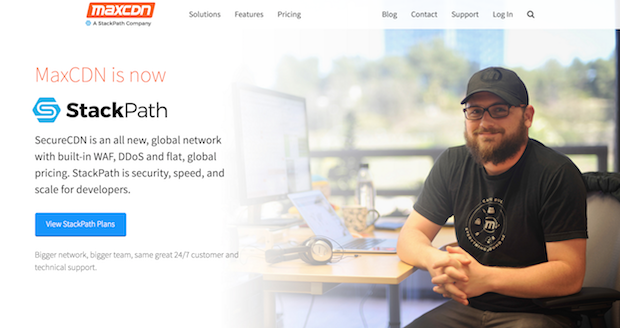 Here’s how to install and setup StackPath on your site. A robot.txt file gives instructions to web crawlers, allowing or disallowing them to crawl the pages on your site. This way, search engines know which pages to index and which pages not to index. An XML Sitemap is a file that tells search engines about pages on your site that are available for crawling. You should add Sitemap on your site to help your photos to get indexed faster. To learn more, you should check out this guide: How to Create a Sitemap in WordPress. Google Search Console (previously “Google Webmaster Tools”) allows you to monitor and track how your website is seen by search engines, removing the “guess work”. You can see data on backlinks, post index, search traffic, search appearance, broken links, search engine bots crawl, and more. Here’s how to easily add your site to Google Search Console. You should setup Google Analytics to extract web traffic reports from your photography website. It allows you to track your SEO efforts. Google Analytics can also help you to learn more about your visitors by showing you demographics such as country, city, gender, and more. 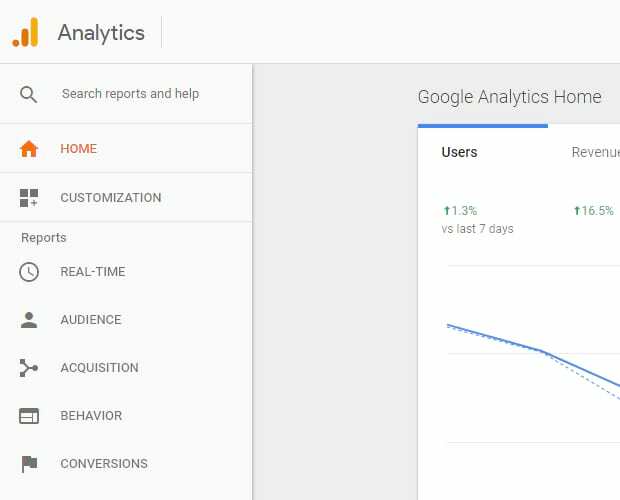 Here’s how to install Google analytics on your website. If you have a business mailing address, then simply sign up for a Google My Business account. Then you will be able to rank for your business address using Google Maps. For photographers, this presents a special opportunity to get found by potential clients who are local to the area. Note: If you add a map to the contact page of your website, then make sure to link it with the same address on your Google My Business account. A good SEO plugin makes it incredibly easy to optimize your images. As a photographer, you may deal with different types of photos, including wedding photos, travel photos, portraits, and more. So, you’ll need a plugin that can handle detailed meta data for your photos. We recommend Yoast SEO for your photography website. Here’s how to install and setup Yoast SEO plugin on your website. Website load time is very important for SEO. A good web hosting and CDN (like we mentioned in #3) plays an important role in increasing your website’s speed. We recommend using server caching to decrease the load time of your website. W3 Total Cache plugin works great for WordPress websites. Here’s how to install and setup W3 Total Cache. Your URL is a very important part of SEO. Using good permalinks helps Google to find and understand your website. Plus, it increases the likelihood that your visitors will share it. You shouldn’t allow your site to use URLs both with and without the “www”. (For example: http://www.myphotography.com and http://myphotography.com). If you do this, search engines will consider them as two separate websites with duplicate content, and that can lower your rankings. We recommend using “www” because it generally ranks faster. To do that, you’ll need to put a 301 redirect for URL without “www”. Check out how to create redirects in WordPress. You need to make sure that the code you are using on your website is up to today’s standards, so it doesn’t become a hurdle for search engines to reach your website. Google has explained the search engine algorithms that are simple and easy to understand. Adobe Flash is not SEO-friendly, and has been replaced by HTML5 and CSS3. The iframe HTML tag is the old method used to embed content on your website in a particular frame. We recommend avoiding this HTML tag because search engines don’t support it anymore. 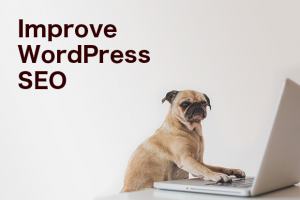 All up-to-date content management systems like WordPress have upgraded their embed tools. If your site is still using iframe, then you’ll need a new, modern design (or you should use WordPress as it follows the latest web standards). Having too many ads above the fold (the part that visitors can see before they have to scroll down) will ding your SEO, and Google will lower your ranking. Too many ads are also bad for your user experience. Your visitors want to see your content, so these ads can be annoying, and you may lose a valuable customer. (Image via MonetizePros. 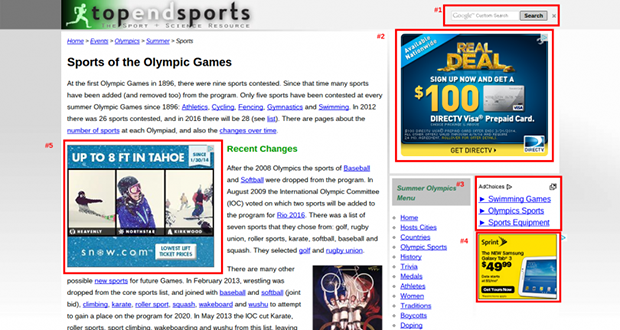 )You can simply place ads sparingly in the sidebar, in the middle, or at the bottom of the post. Your homepage is often the first impression that visitors have of your website. When a new visitors comes along, they often look to your homepage for something to make them stay on your site. The longer visitors stay on your site, the better for SEO. 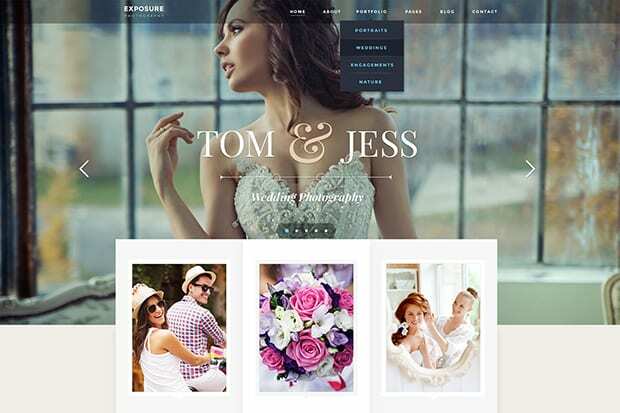 Adding beautiful images with small content snippets helps to make your homepage compelling. It is recommended to keep your navigation simple, so that visitors can easily find what they need. You may also include a brief description of your work, call-to-action, and your contact information to add value and engage your visitors. As a photographer, you may want to show high-resolution images to your viewers. However, high-res photos increase the load time of your website due to their file-size, and reduce your search engine rankings. It is recommended to resize your photos at 1000px or less before you upload them to your site. Simply compress the photos and save them for web with 60%-70% maximum image quality. Also, add a simple, brief, but descriptive filename before you upload your images. Avoid the use of stop words, such as “of”, “or” and “the” which interfere with SEO by taking up precious character space. See our guide on How to Save Images for Web and Speed Up Your Website. Creating a deep link for your photos (an indexible URL such as “http://www.example.com/folder/image/”) makes it simpler for the search engines to rank them. Plus, it makes it easier for visitors to share your photos too. 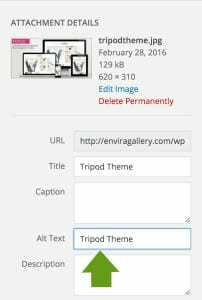 If you are using the Envira Gallery WordPress plugin, then you should install and activate our Deeplinking Addon. It will create a separate URL for every image in your picture gallery. 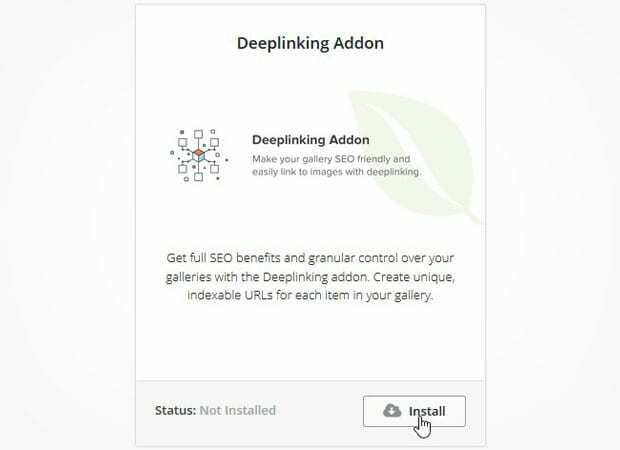 You can also learn how to create a deeplinking image gallery here. Add a descriptive ALT tag to all your photos. This ALT tag will help search engines understand what the image is about. Most photographers just add photos to their websites without writing any descriptive content around them. This makes it difficult for search engines to know what your photos are all about, and what keywords they should be ranking for. Instead of only housing your photos on a portfolio page, create a blog where you write the descriptive stories behind your photographs. This will help the search engines to “read” your images, and your photos will rank more easily. Also, these stories with the photos will pursue your visitors emotionally… and you may get more clients. (Image via Jasmine Star. )To keep your blog posts separate from the rest of your website, check this simple tutorial on creating a separate page for blog posts. You should understand that typos and poor grammar will adversely affect your search engine rankings, whereas helpful, clearly-written and valuable content gets rewarded. We recommend you to run a spell and grammar check before you publish posts, and ask friends and colleagues to review your site for clarity. You should use heading tags (H1, H2, H3, etc.) in your content. so it helps search engines to understand what your pages are about. (Image via Social Success Marketing. )It is recommended that you use one H1 tag with several H2 andH3 tags on each page for better optimization. Ideally, the heading tags will include keywords that you want to rank for. Your post and page titles are extremely important to search engines, so give them some careful consideration. With the general rule of thumb, it keeps your titles brief and simple (40-70 characters), descriptive, and easy for your visitors to understand why they should click through to your site. Use your main keyword in a natural way, but focus primarily on creating a title that actual people will respond to. 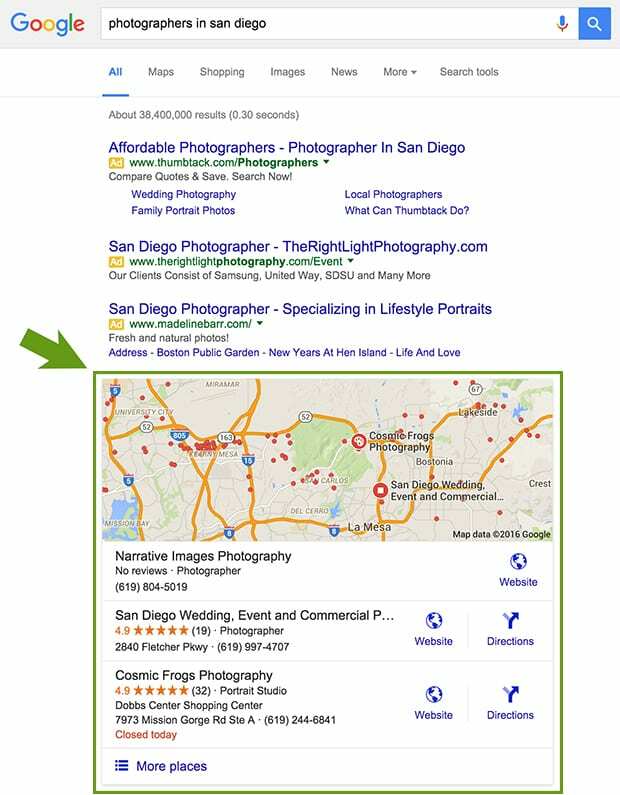 The more people click on your title in the search results, the more Google will reward you. You should add meta descriptions on pages to help search engines and visitors to understand why they should visit your website. We recommend that you should include your main keyword in the meta description, as long as it sounds natural (don’t “stuff” it with keywords). The optimal length of a meta description is roughly 155 characters, so keep it brief and to the point. In WordPress, you will have categories and tags that help visitors to find content they need more easily, and they can help with SEO too. It is recommended that you choose categories and tags that clearly define the page or post content using interest words. Don’t “stuff” your site with too many categories and tags. This can be confusing for your visitors, and poor usability almost always leads to poor SEO. Go ahead and check out more on using cateogries and tags in WordPress. The more shares your photos get on social media, the more “important” they look to Google, and this will help you rank higher. Adding social share buttons to your site is a quick and easy way to get more shares on your photos. (Image via TheLawTog. )We recommend you to install and activate Floating Social Bar at your site. It adds the simple, but attractive social share buttons to the side of your web page and scrolls with the page scroll. Your sidebar should include useful widgets that navigate to other pages on your website. As much as possible, avoid linking to external websites in your sidebar. Also, it’s good to include a simple subscription form in your sidebar with one field (asking for their email address) and a submit button. You can also use OptinMonster for adding subscription forms and opt-in popups to help grow your email list. The “Footer” is the tail of any website, which often includes useful navigation links. Your “About” page is important for your visitors because it tells them about what you do, how you can help them, and if they are in the right place. Therefore, search engines value it as well. 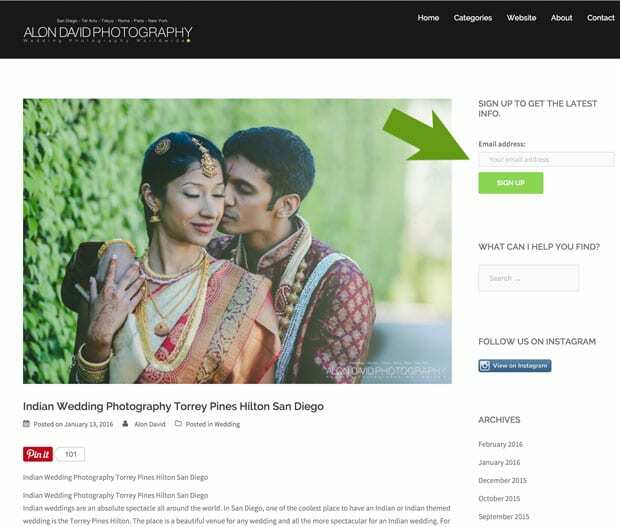 We recommend adding relevant information about your photography business, adding a compelling title, and a meta description for this page, so search engines can read it easily. Links to your website from other sites (backlinks) are absolutely critical to ranking in Google. These links should come from high authority sites, be natural links within valuable content, and include descriptive anchor text. Try linking to other photography sites before you ask for a favor in return. It will create a mutual understanding, and you will start getting organic links for your content. Another simple way to get backlinks is by writing guest posts for high authority blogs, and include a link back to your photography site in your byline. Find and fix any broken links, and clean up any spammy backlinks using your Google Webmaster Tools. Spammy sites linking to yours will cause Google to penalize you. Here’s how to clean up spammy backlinks. That’s it! We hope this complete guide has helped you to understand SEO for photographers. Now it’s your turn: go ahead and follow the steps above to maximize your search engine rankings, and get your photos found by more potential clients. Follow us on Facebook and Twitter for more photography tips and tutorials. So do links from LinkedIn and Tumblr now contribute as SEO? Thanks for sharing this wonderful tutorial with us!! After reading your article I ranked 2 photos of my website https://www.emarketinginstitute.org/ in 2nd and 3rd position. Good article – there’s one more important step that needs to be added – geotagging. This can make a huge difference. Thank you, Cathy! Glad you found the post useful. ? There are a lot of factors that go into what engages an audience. It could be the placement of your galleries or the content contained within. It’s hard to say. We wish you the best of luck figuring out what appeals best to your visitors!